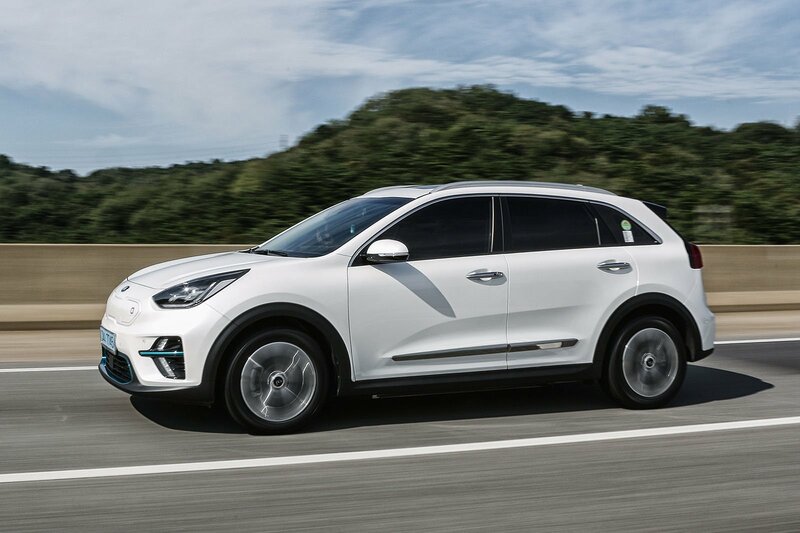 2019 Kia e-Niro review – price, specs and release date | What Car? The drip, drip of electric cars going on sale in the UK is steadily becoming a trickle, but there are still few that have a range nudging what you would expect from petrol and diesel models. The official 301 miles that the Kia e-Niro can do between charges is therefore one of the most impressive figures yet, and one that only the Hyundai Kona Electric (with which the Niro EV shares several key components) and much more expensive, premium-badged models are up around. 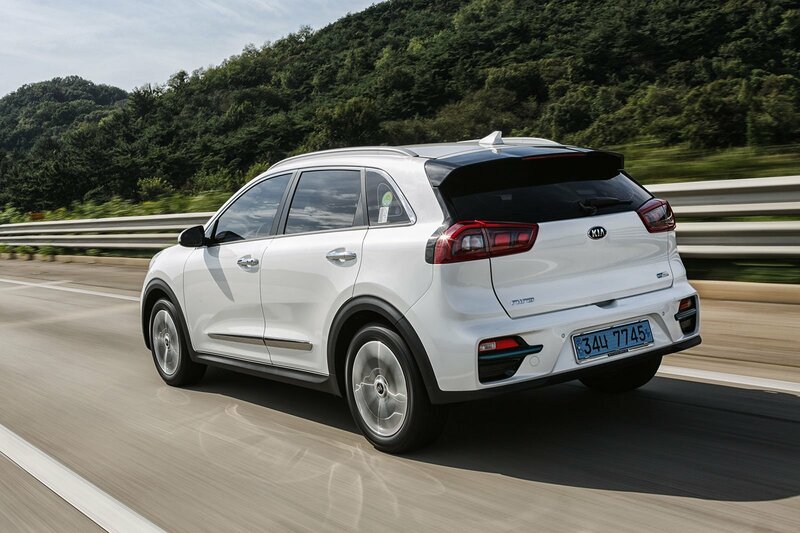 The Niro is Kia’s dedicated eco-friendly car, and we’ve already seen hybrid and plug-in hybrid versions. Now, its transformation to a fully electric car brings with it no sacrifice in passenger or boot space. The fact that the e-Niro shares its mechanicals with the Kona Electric means you get a 201bhp electric motor that draws its power from a 61kWh lithium ion battery located in hidden parts of the underpinnings, where the likes of the fuel tank usually live. A version of the e-Niro with a smaller battery – and thus a reduced range and a lower price – is offered in other markets, but it’s unlikely to be sold in the UK. The e-Niro is a very quick car – almost shockingly so. The first time you put your foot down, you're taken aback by just how urgent and rapid it feels, delivering its power more like a sports car than a Niro hybrid. It’s almost at odds with the car's eco-friendly brief, but that brings with it impressive driveability, allowing you to progress through traffic with confidence. That urgency could become grating after a while, however, so a lighter use of your right foot is best, both to eke out extra range and stop yourself from spinning the wheels (even at A-road speeds). Similar can be said of the Kona Electric. Another experience familiar from that car is the steering wheel paddles, which allow you to control the level of regenerative braking from the drivetrain. There are four settings to choose from, with the most aggressive ideal for one-pedal driving – although the system on our test car had a habit of resetting itself to an ‘auto’ mode where it decides the level for you, much like when you take control of an automatic gearbox and it resets if you don’t touch the shift paddles for a while. While the e-Niro's performance is sports car-like, its handling is not, with the extra weight over the hybrid models making its presence felt in corners. And don’t think you'll get a cushy ride; the e-Niro tends to thump over bumps instead of isolating its occupants from them. The steering is the one pleasing trait, with a nice weight and consistency to it. Our test route wasn’t the longest, but the official range figure seems a believable one. Starting a little below a full charge, the 250 miles on the remaining range readout fell in line with the distance covered. Recharging is done via a CCS charger, the roll-out of which will increase as more manufacturers gravitate toward it. The car takes 54 minutes to recharge 80% of the battery on a fast charge and just over nine and a half hours on a standard charge. There’s little discernible or important difference between the e-Niro and other Niros. So, you get a solid, if somewhat unspectacular, dashboard with mixed material quality – soft-touch in most prominent places but with harder plastics lower down. The instrument cluster is of a revised design to focus mainly on giving information on your remaining range. An infotainment touchscreen is standard, and this also includes charging point information. 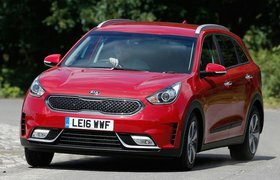 The exact UK specifications of the e-Niro are yet to be decided, however; we were testing a Korean-market model. Space wise, it’s also as we know it from other Niros. The rear of the car provides plenty of head and leg room, even for taller adults, while the boot is of a good size, with a low loading lip and no loss in usable space for the battery pack, unlike in some hybrid and electric models.